Installing a tow bar can be a simple enough, satisfying task if you are aware of the basic mechanics and like to work with our hands. For those who do not fancy their handyman skills, you are better off calling the mechanic. Based on our experience and expertise, we have outlined in this blog the basic preparation and steps needed for a smooth tow bar installation. Assemble the tow bar kit and the tools required. Ensure that you are working on a flat surface with sufficient space around the vehicle. Disconnect the vehicle battery and remove any components at the rear of the vehicle that may restrict your ability to fit the tow bar properly, such as the boot carpet trim or underlay. If necessary, remove the vehicle’s bumper supports. This is a common step for later vehicles with plastic bumpers – in this case, the tow bar becomes a structural support in itself. Prepare the bumper for cutting. Your tow bar kit may include the materials to do this, or you can measure the centre line yourself. Then, cut the plastic bumper with a small cutting tool, or hand cut with a fine-blade hacksaw. If you make a mistake or you’re not happy with the result, use some pinch weld and fit it to the cutout to make it look neater. Make any required modifications to any vehicle components and refit. 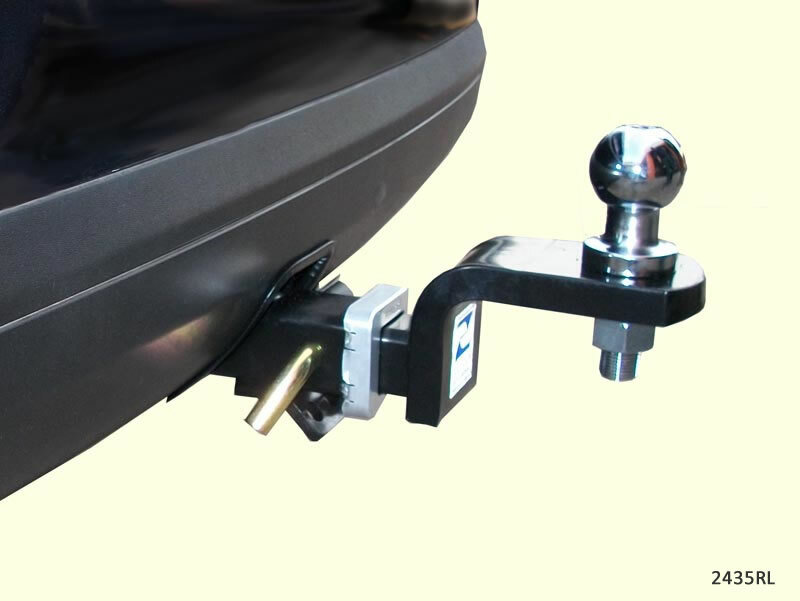 Then, fit the tow bar to the vehicle; insert the mounting bolts and torque to the manufacturer’s specifications. You may require some assistance with this. Wire up the trailer connection. In some tow bar kits you may have a loom supplied. If there is no loom supplied, you will need 4mm gauge insulated copper wire and clip connectors. Newer vehicles may require a dedicated loom – consult your vehicle’s manual or contact your manufacturer to see whether this applies to your vehicle. Refit the bumper and other components you removed prior to bar fitment, then re-torque to the manufacturer’s specifications. Secure the trailer connector, bolt up the tow ball and secure the hitch to the receiver with lock and pin, then tighten the anti-rattle bolt, if fitted. Test the trailer connector ports to ensure they are receiving voltage.